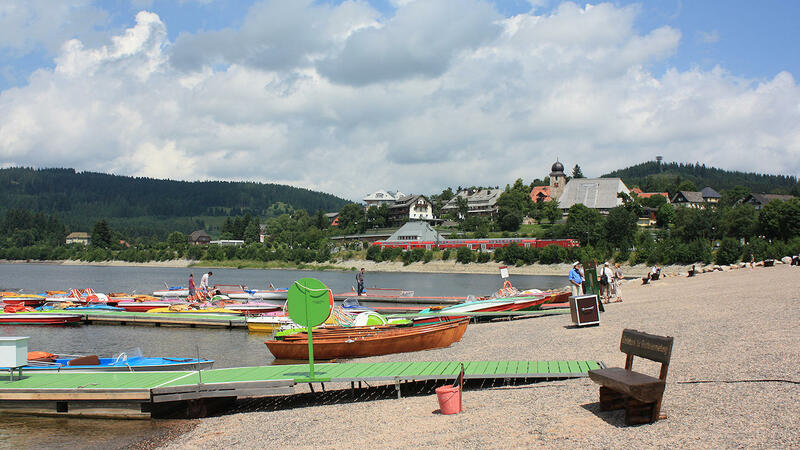 The community of Schluchsee is located on the lake of the same name in the highlands of the southern Black Forest. 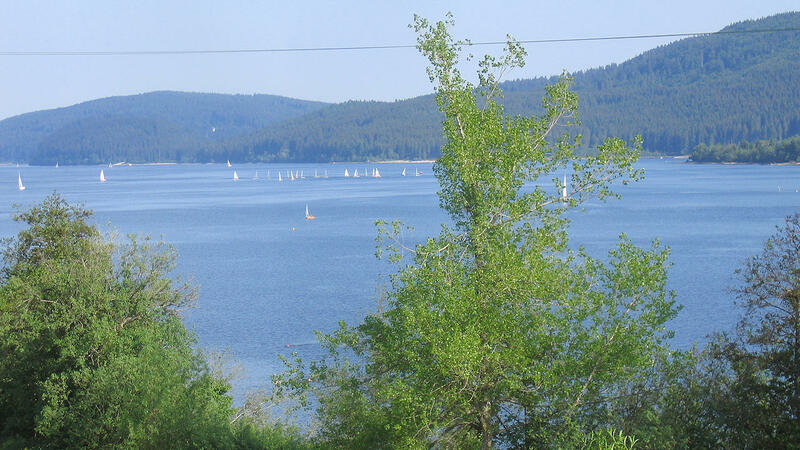 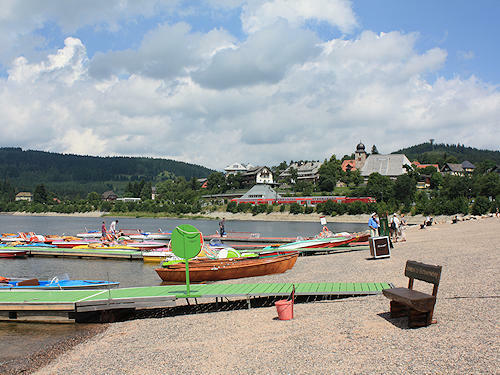 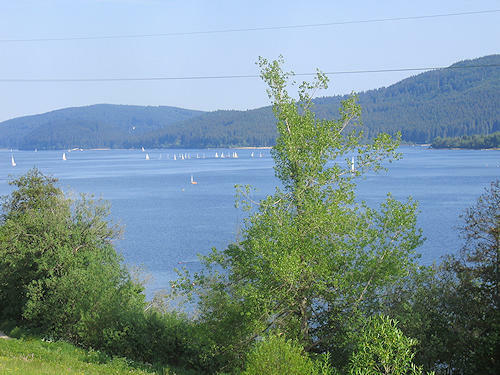 Lake Schluchsee offers a great many possibilities for water sports: sailing, wind-surfing, rowing, angling, sightseeing tours by boat and, of course, swimming. 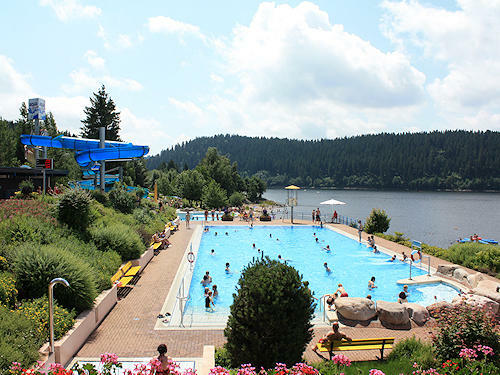 But not only the lake is an attraction in itself. 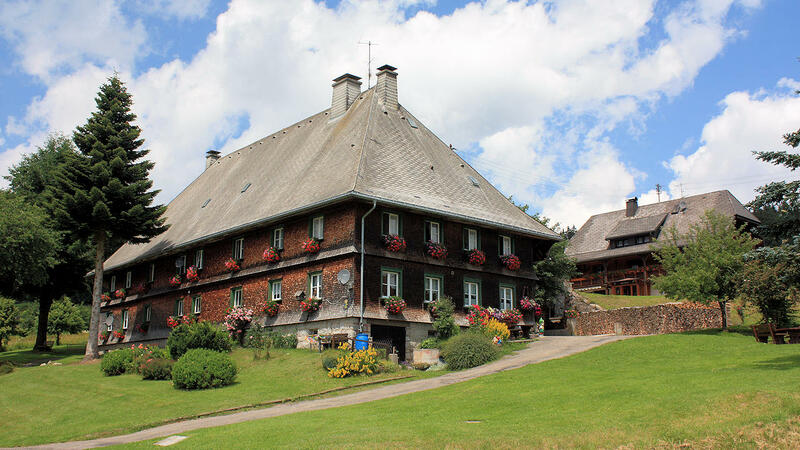 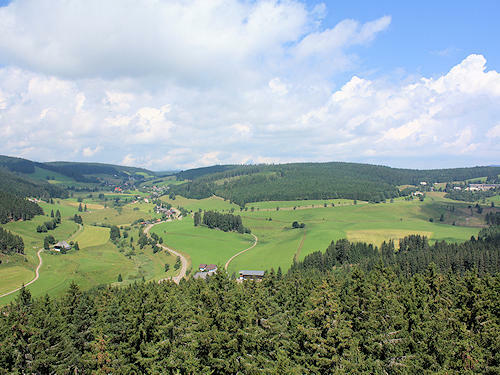 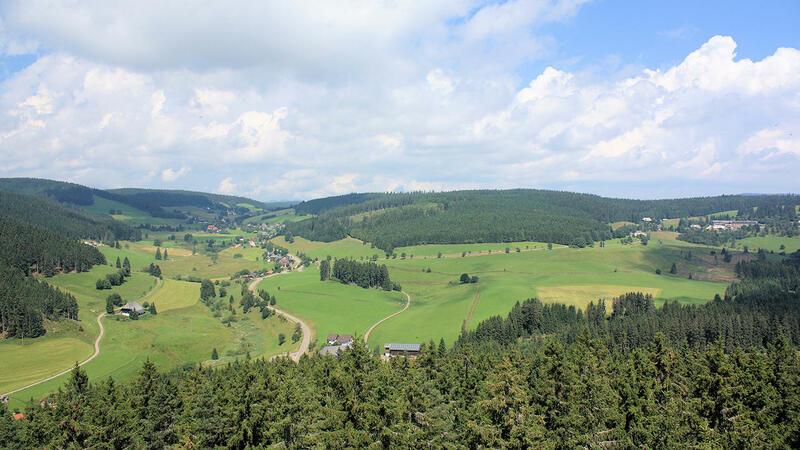 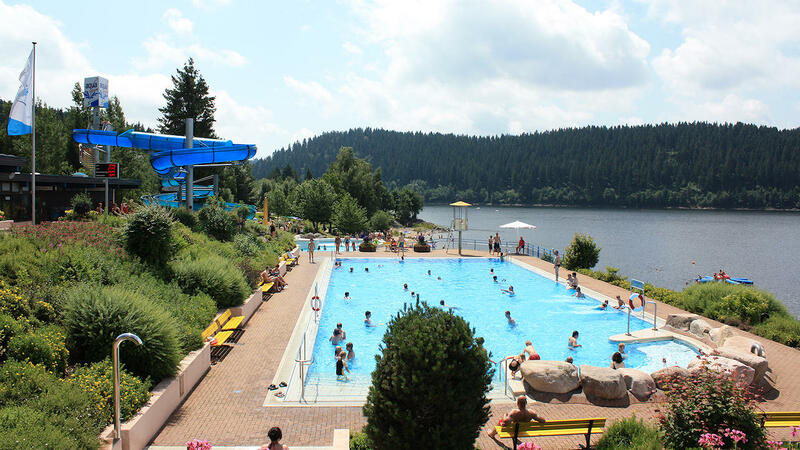 The community of Schluchsee is set in a beautiful location in the High Black Forest, and hikers, cyclists and mountain bikers get their full money's worth. 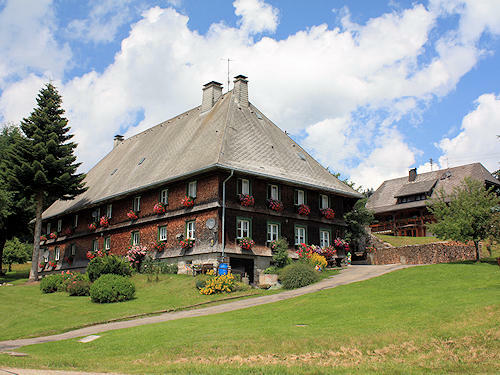 There is also a lot on offer for winter sports enthusiasts, including a well prepared network of cross-country skiing tracks, a ski-lift and a children's ski-lift in the district of Fischbach, a toboggan run, snowshoeing, ice skating, and all this in the fresh Black Forest air at around 1,000 metres above sea level.